The Chat feature allows you to participate in a live chatroom as well as private chats with other members of your Ning Network. The Chat feature is aÂ quick indicator of how active your Ning Network is, and the real-time communication is a fun and easy way for members to participate in the Ning Network. 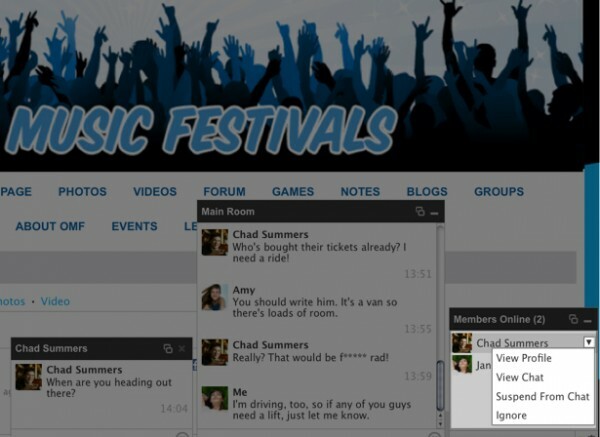 To add Chat to your network, just navigate to theÂ My NetworkÂ tab and click on the “Features Layout” link. Drag the Chat feature to the center column of your main page layout to add it. Be sure to save your changes before leaving this page. 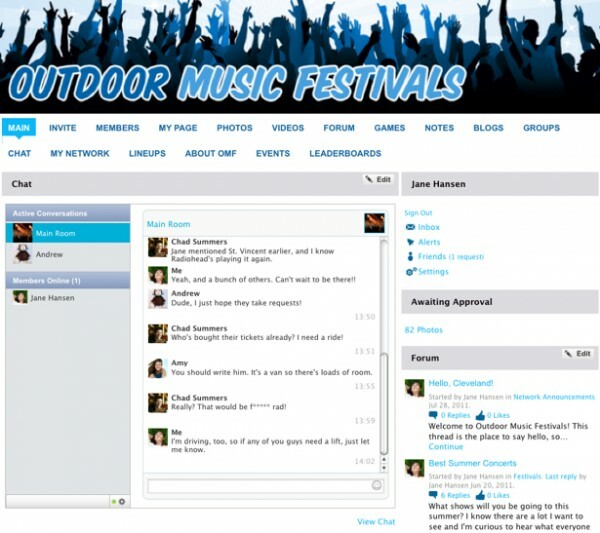 The Chat feature is written forÂ HTML5 andÂ will appear as a persistent chat bar, displaying on every page of your network. To change how Chat appears on the network,Â go to your Features Layout page in your network dashboard and drag and drop the feature where you want it to appear. Be sure to save your changes. 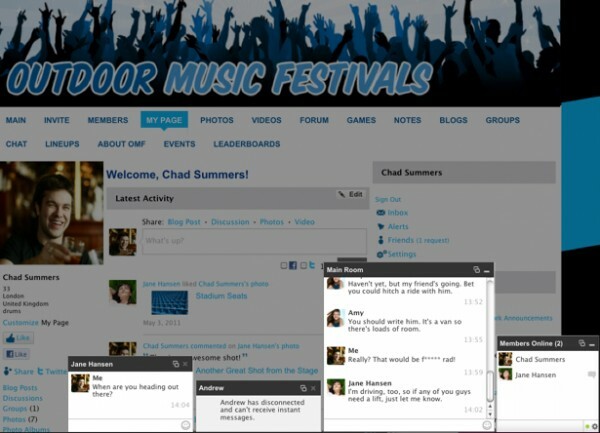 This HTML5-based ChatÂ allows you to customize the appearance andÂ the language that appears in the chat window, as well as the ability toÂ filter out inappropriate language. Changes you make to your network’s appearance will be applied to the Chat feature, as well. Additionally, membersÂ canÂ start private chats with other members on the network, turn sounds on or off, pop out the chat window or disconnect from Chat. Members will alsoÂ find that they can access Chat on their iPhones, iPads and other devices by clicking to view the regular version of the network. Network CreatorsÂ can delete individual messages andÂ suspend members from Chat, as needed. To delete an individual message, hover over the right side of the message and click on the “x” that appears. If a member needs to block messages from a particular member on the network, he or she canÂ hover over the member’s name and then click “Ignore” from the drop-downÂ menu that appears. As the Network Creator, you can also clear the message history and even temporarily ban a member from the chatroom. To use Chat on your Ning Network, either click the name of the Ning Network to pop it into the page, or click the “pop out” button to open it in a new window.